On our third day, we took the country side tour, Amazing Race style. We were to hit over 10 spots in a day beginning at 8:30am. First let me say that the paved roads of Bohol is fantastic. And according to our expert guide slash driver Gary, the highway that surrounds the island is smooth all the way, making it possible to cover the perimeter of the island in 6 hours vs. 12 hours before. But that is not part of our tour, we take his word. The view of Panglao Island from the blood compact deck. Tourists used to be able to go down the forest (to take photos i suppose), but due to the number of migrant birds and other animals, they closed it to allow nature to proliferate. Kudos! 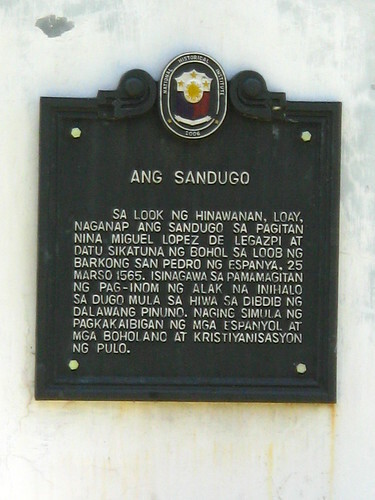 Later historians found the actual Sandugo (blood pact) site to be in Laoy. This site is the “freshwater well between 2 rivers” per chronicle by the Spanish. 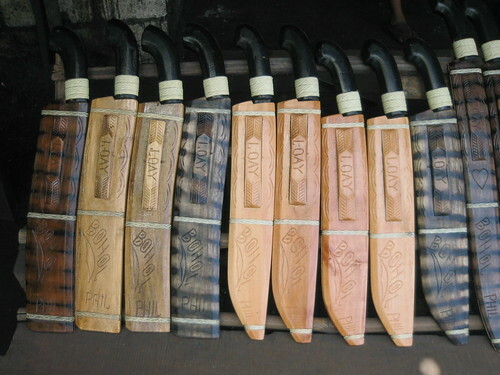 These bolos (local swords) are not for sale. The local government buy all their products and distribute them. I think this is a good way to ensure that the bolo makers get fair price and don’t have to worry about marketing their products. Nice. 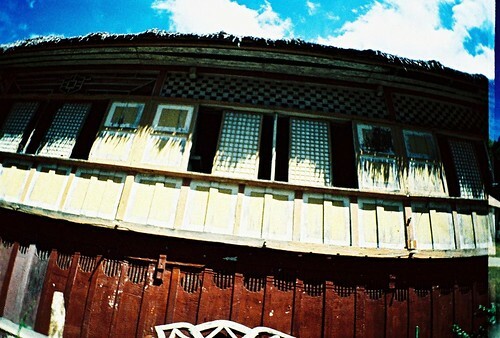 Many of the Spanish period houses (bahay na bato) still stands. We passed by this 19th century ancestral house of the Clarins family. 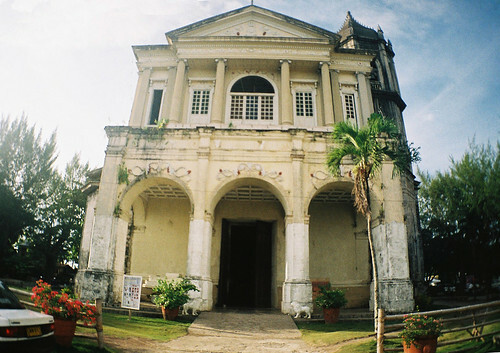 It is now made a national heritage site and converted into a museum. We didn’t go in. We’re on a mission here, not time to drop in for tea. This tarsier is the smallest primate in the world. And the smallest of this family is found in Bohol. 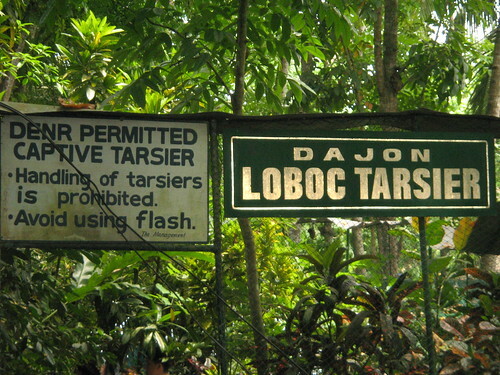 They’re basically nocturnal animals but the ones here in Loboc River zoo have already adapted the sleeping pattern of human. They feed on insects and hangs out on tree branches. 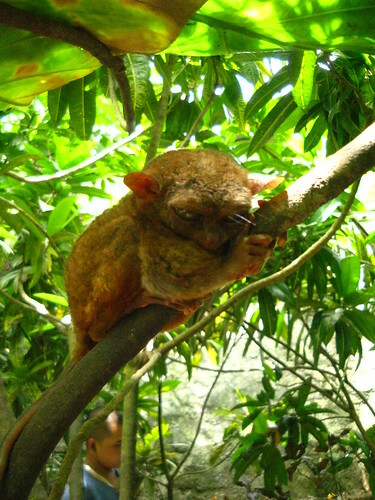 Other interesting trivia of these cute little creatures is that according to our guide, they commit suicide if they are taken out of Bohol. They drown their faces in a pool of water or bang their skull to something hard. They live to the age of 20. One mating season per year and it lasts 3 sec. While it seems inhuman to hold them captive exposing them to stupid tourists who kept on touching them and taking photos with flash (my photos all natural light, I promise! ), I think it also help raise the awareness of this used to be endangered specie. So in my opinion, it’s not all bad. One of Bohol’s popular attraction is taking your lunch/dinner aboard a ferry cruising along the Loboc River. 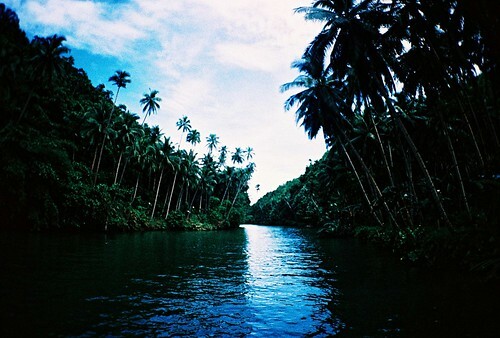 Priced at 300 pesos you get to enjoy the panoramic view of the palm plantation along the river, watch a live performance by Loboc locals along the river banks and children showing off by jumping off a tree to the clean river. 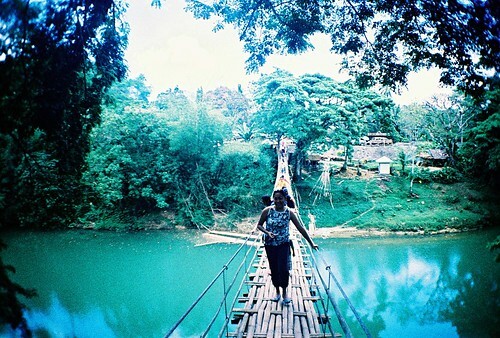 A side trip to Tigbao to cross the bamboo hanging bridge. I have a slight fear of height but had fun swaying and crossing this bridge. Even my mum tried it. 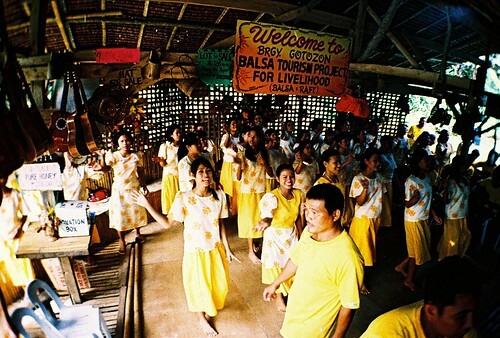 Probably one of the most brilliant story of Bohol. In the 1960’s, due to irresponsible Kaingin system (clearing forest by burning to plant crops), flash floods and soil erosion became a catastrophe. So then governor Chatto spearheaded a drive that requires every person to plant 1 tree. 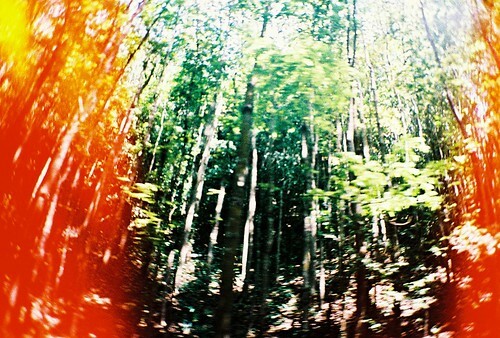 This is now the Bohol Forest, a 2-kilometer stretch of forest densely planted with Mahogany trees. Every tree is accounted for an inventory is made every 5 years until now. And speaking of tree planting. The government requires every student who graduate from the elementary to plant 1 tree before being allowed to enroll in high school. Mangroves for those living along the coast and Mahogany for those inlands. Permit is also required to cut a tree even if this tree is in your backyard. You need to replace 2 trees for 1 tree to be cut and have to wait a year until the trees you planted grew to be 5 feet high. What treehuggers these people. Awesome! , hence, the name. This natural phenomenon is unique in the Philippines. To get the best 360 degree breathtaking view of the 50sq km area where these half spheres hills are scattered, climb up the 214 steps of the view deck in Carmen, Bohol. It’s easy because even my dad was able to go up and down, no problem. 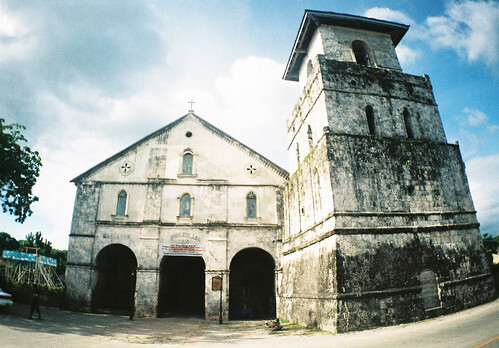 Bohol has some of the oldest Spanish period Catholic churches in the Philippines. 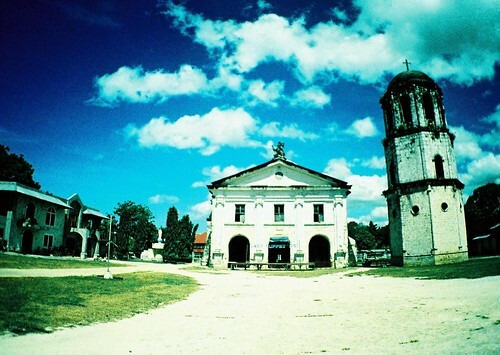 The Church of Our Lady of the Immaculate Conception in Baclayon is the 2nd oldest churches in the Philippines. 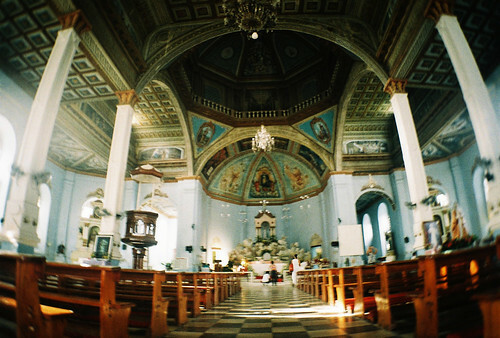 (The oldest being San Agustin Church in Intramuros, Manila.) Baclayon Church is one of the best preserved Jesuit build churches in the region, although in the 19th century, the Augustinian Recollects added a modern facade and a number of stone buildings that now surround the church. 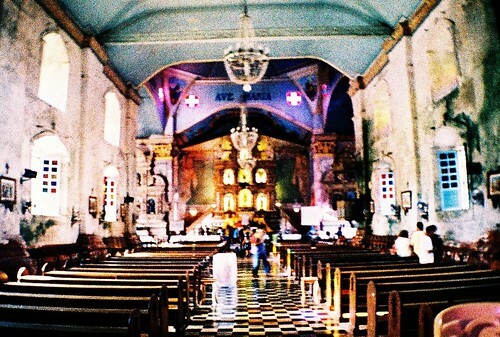 Another beautiful church in Bohol is the Church of Our Lady of the Assumption in Dauis, on the Island of Panglao. 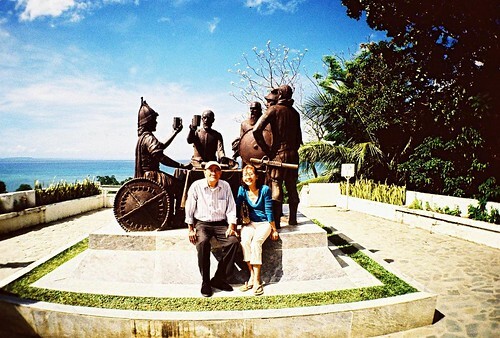 It is located not far from the bridge that connects Panglao with Bohol. The church’s patron saint, the Virgin of the Assumption, is said to possess miraculous powers. An old legend relates that once, when the town was invaded by pirates, the people of Dauis locked themselves into the church. However, they soon ran out of provisions and water. 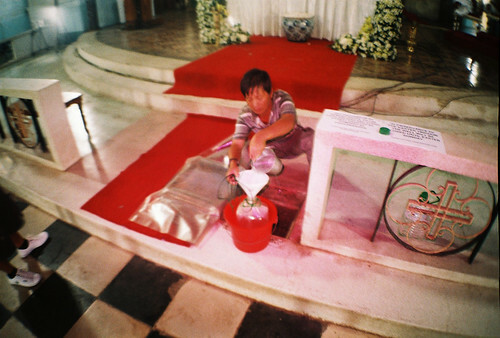 Then a miracle occurred: a well appeared at the foot of the altar. This same well is still the main source of water for the people living close to the church, and, although the well is only a few meters from the sea, the water is absolutely fresh. The water is said to have healing powers, so, if you’re visiting here, don’t forget to bring a bottle and take some home. When visiting this church, please note at it has a very, very strict dress code. As it was the height of summer, we were all wearing tank tops and were not allowed in. I strongly and passionately object this rule. I believe my God does not discriminate and I don’t feel that I’d offend the church by wearing a sleeveless shirt which looks sporty than provocative. So, when the watch wasn’t looking, I slipped in and took my photos. Ha ha ha. 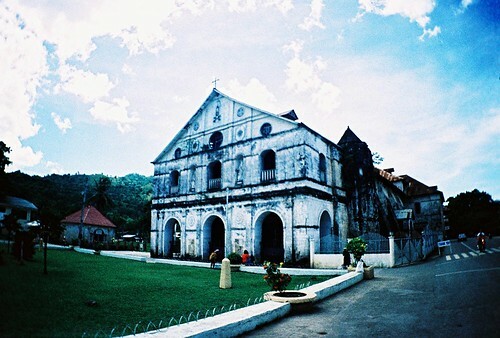 The Church of San Pedro in Loboc is the second oldest church in Bohol. It was originally built in 1602, but soon reduced to ashes. In 1638, a stronger one was build. Located near the river, it has survived a number of floods. The bell tower of Loboc is about 100 meters from the church. 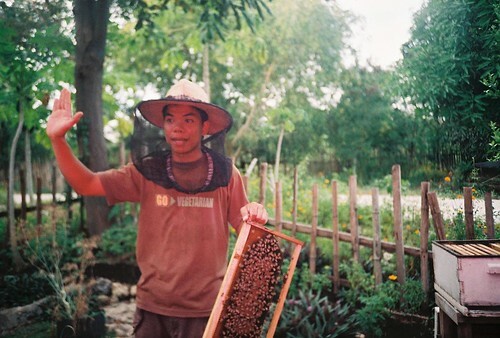 Very highly recommended by solemate, Banggingay, we asked our guide Gary to bring us to the Bohol Bee Farm even if it wasn’t part of the tour, and he nicely agreed. Turned out the Bee Farm is more than just a honey factory. 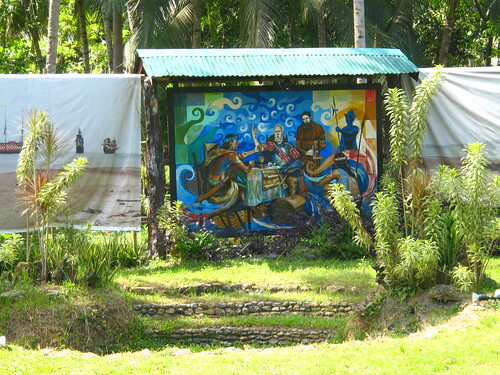 It is also a resort and restaurant of organic food. I would have loved to try it’s cuisine but our tour time is up, plus my parents were a little bit tired from whole day of roaming around. But we took the mini farm tour with the funny guide in the photo (forgot his name). We were shown the modest green house where they grow organic vegetables and spices and background on bee farming. They also have a small shop selling their organic produce including wine, honey, bread spread, etc. 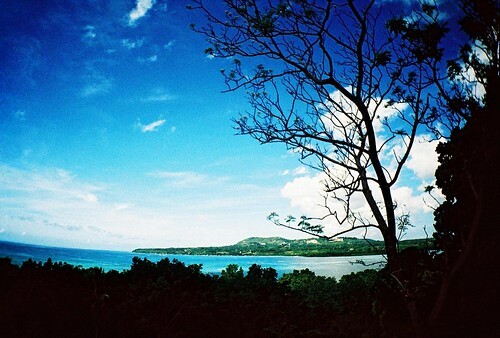 NextWhat is Film Swapping in Lomography? Also in the convent of Dauis church, there is a museum and souvenir shop with a beautiful terrace surrounding a very old acacia tree. 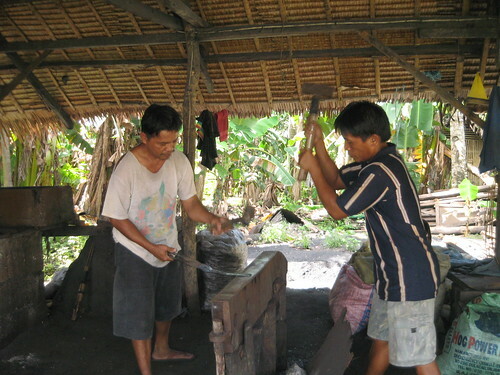 You could have native chocolate and merienda prepared by the community. Other sites to see in the North are the Cambuhat River cruise. You row your own banca by the river where they culture oysters and end up in a restaurant where they serve fresh sea food. All for P650.00. The only drawback in it is a 3 hour drive. 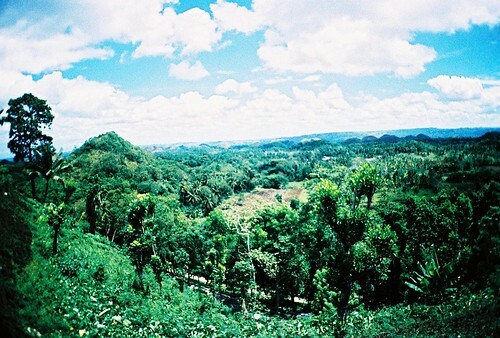 Yes, there is so much to see in Bohol. Especially not in the regular tours. Sayang we did not meet earlier. I would have taken your family to the Terrestrial tour of Baclayon with Buggy Rides and a nature tour with a guide to do bird watching. Now it is run by the Peacock Garden Resort. 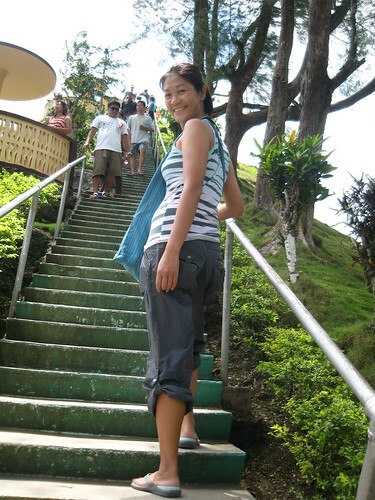 I have been to several tourist spots in the Philippines including Palawan, Boracay, Bohol, Cebu, Pagudpud, and more. wow! bohol is rich in tourist destinations particularly the chocolate hills and the now famous panglao island – a white sand island. i love seeing the pictures in your blog. thanks for sharing.